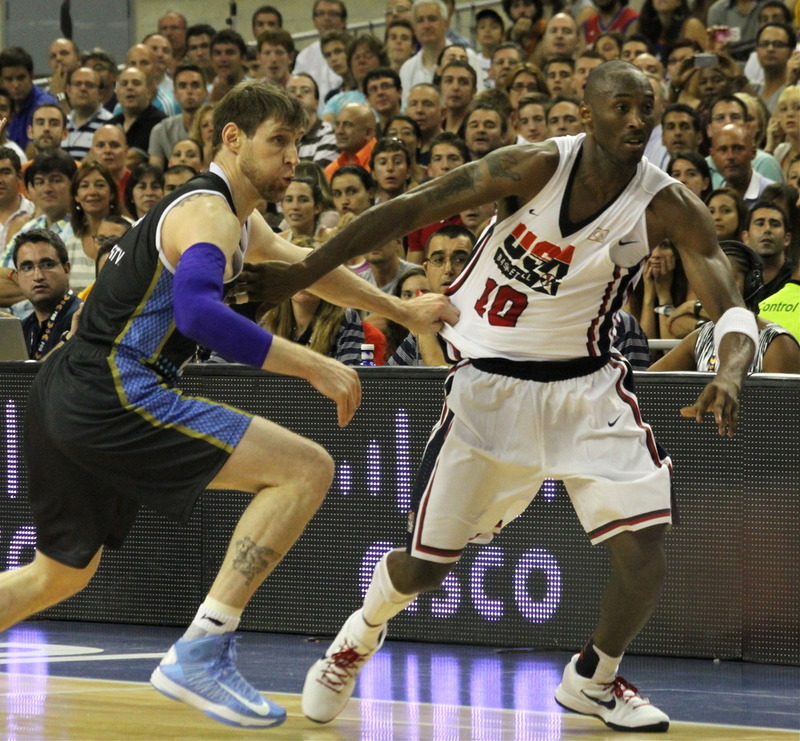 But Argentina fought back, forcing the US to sweat late in the game for a narrow victory in Barcelona. It was only an exhibition game, but it meant more for players with scores to settle. 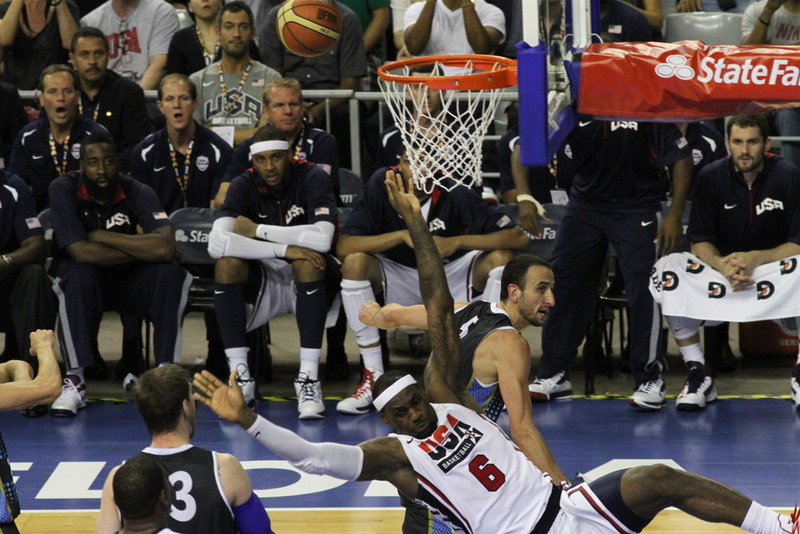 Argentina beat the US and won gold in the 2004 Athens Games, while the US won the previous Olympics and FIBA world championships. Argentina has the power to beat anybody on any given day. Manu Ginobli is not intimidated by Kobe Bryant. He and the San Antonio Spurs are used to beating his LA Lakers in the playoffs, and he has more NBA championship rings than the rest of TEAM USA. 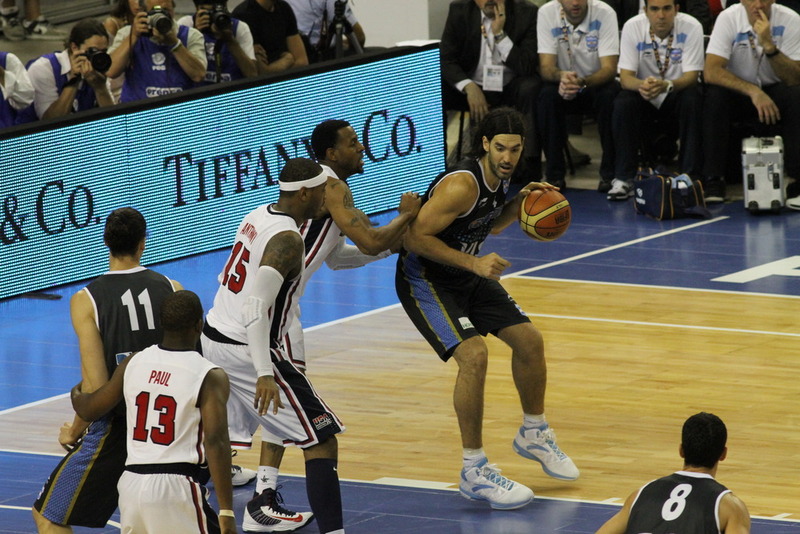 Luis Scola is the type of player the US has trouble defending. He’s big, bulky and a mismatch for the agile, undersized US interior defenders. 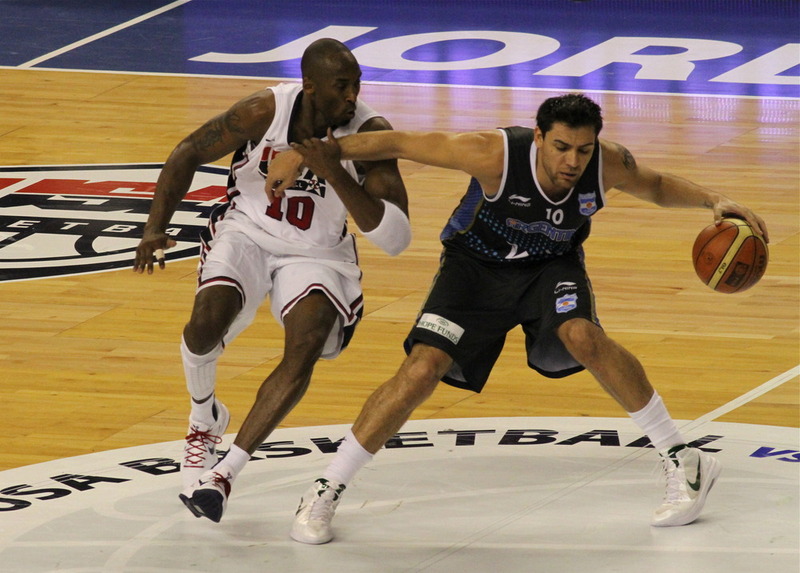 Carlos Delfino, who under-performs in the NBA, shows his world class talent when playing for Argentina. Though Argentina lacks the USA’s depth on the bench, they showed they can handle US pressure on the ball. Nobody can hound a dribbler like Kobe. The camera, at 1/800 of second, can see what referees miss. Harassed by Kobe, Ginobli is crafty enough to draw a foul. Argentina knows how to use high screens and picks to defuse US pressure and punish them for leaving space in the paint. 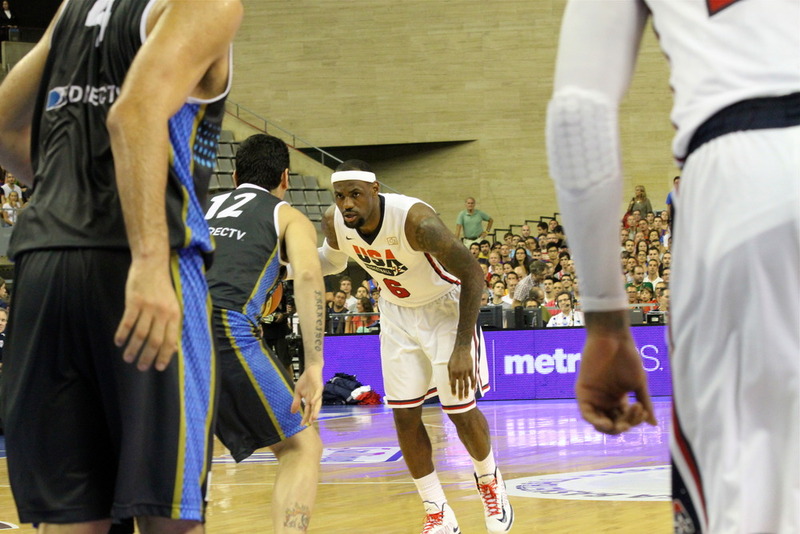 Argentina is tough enough — dirty enough — to foul or throw down Lebron on his way to a dunk. It’s a clever strategy. Force the opponent to make 2 free throws, and then hit threes at the other end. Multi-millionaire US players, tired after a long NBA season and play-off run, don’t want to get into a war on the court. 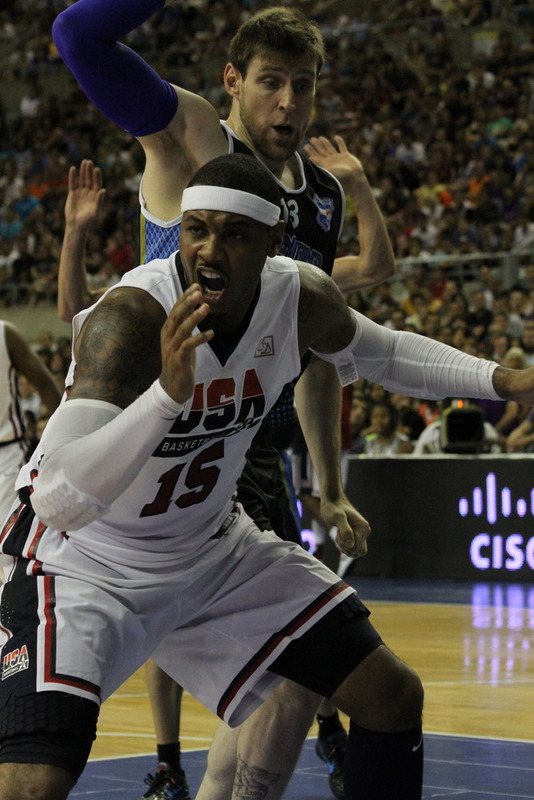 Playing rough, Argentina annoyed TEAM USA and forced them out of their rhythm. 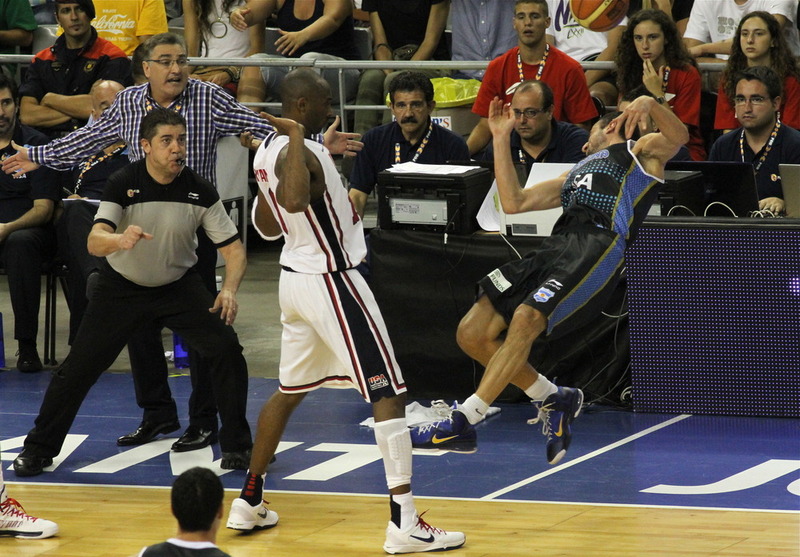 Most of all, Argentina exposed a fundamental problem in basketball: there is only one ball. You can have Kobe, Lebron, Durant, Melo, C-Paul on the court at the same time, but only one player can score at a time. 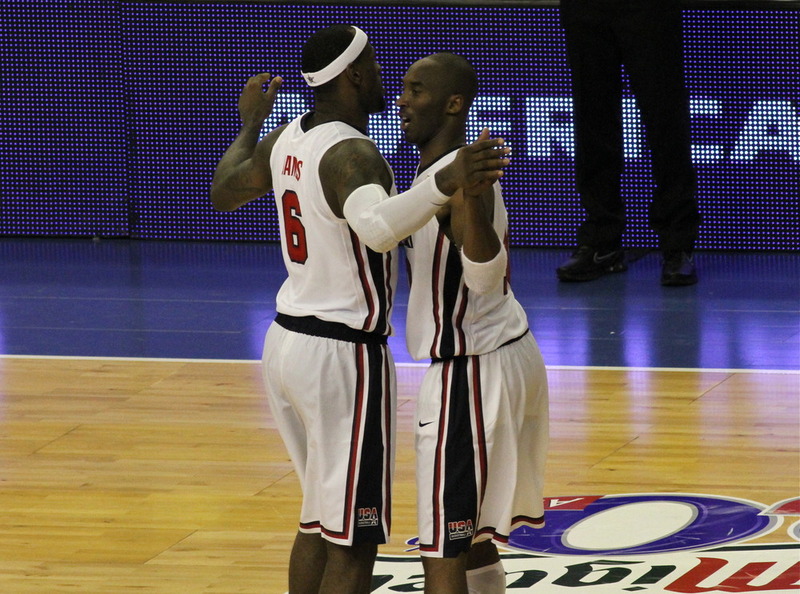 The superstars can check their egos at the door, and get along great like a Team Team. But there still is only one ball for all of them, not each of them. Only one guy can score at a time, while the others watch. 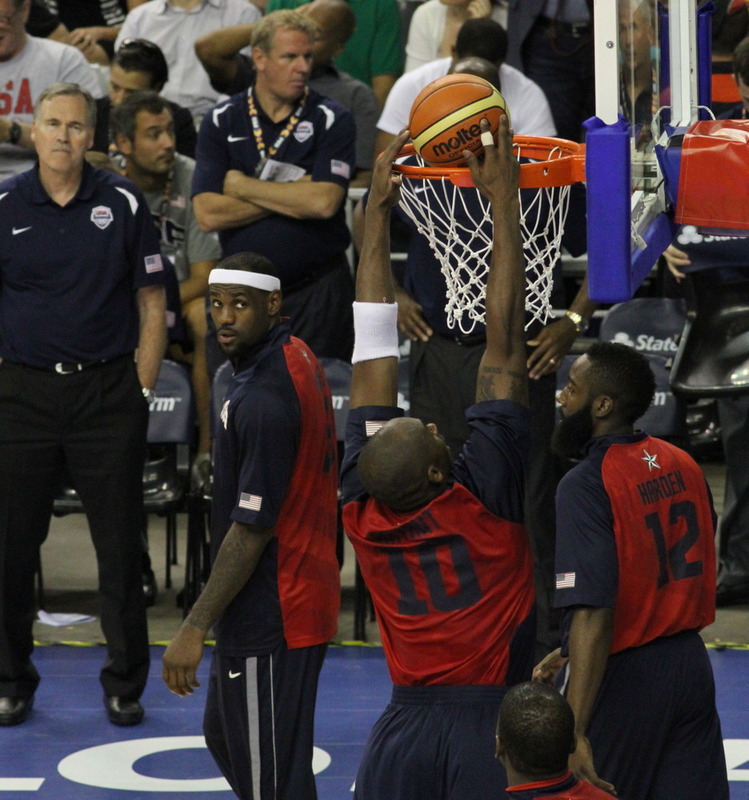 Kobe, LBJ, KD, Melo — when watching or passing — are suddenly no better than lesser NBA players. It’s like Peyton Manning handing off instead of throwing down field — even the second-string quarterback can do that. 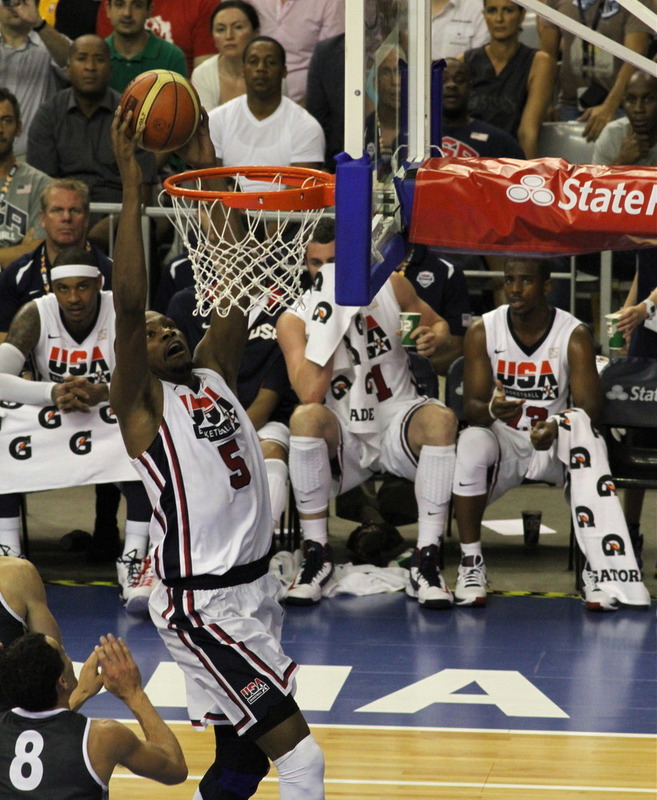 Ultimately, basketball is a game of shooting. (Or as one witty British journalist said in Manchester: “throwing”). If Ginobli, Scola or Delfino gets hot, and a team shoots 67 percent from the floor, they can beat anybody, even the 1992 Dream Team. 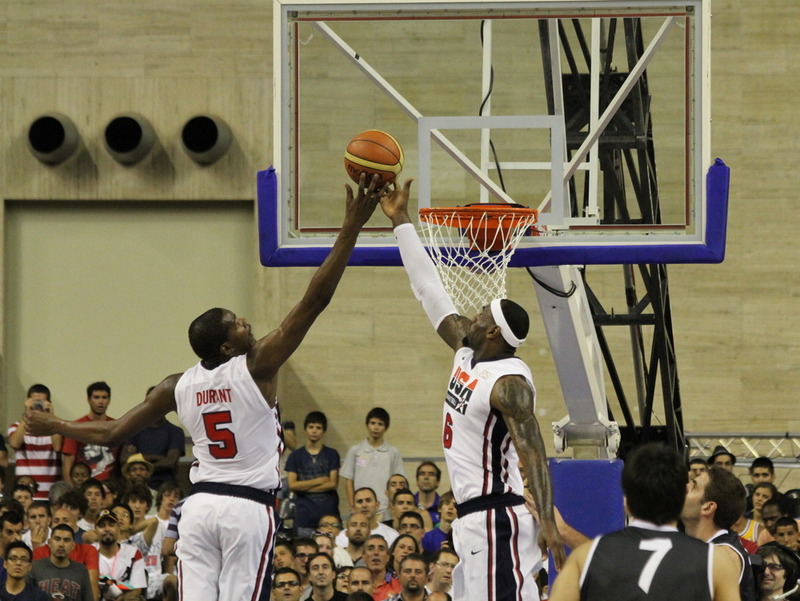 That’s what Greece did to beat TEAM USA in Saitama, Japan in 2006 in the FIBA world championship semi-final. They slowed down the game, ran pick n’ rolls, and hit threes. The US didn’t shoot well — game over. 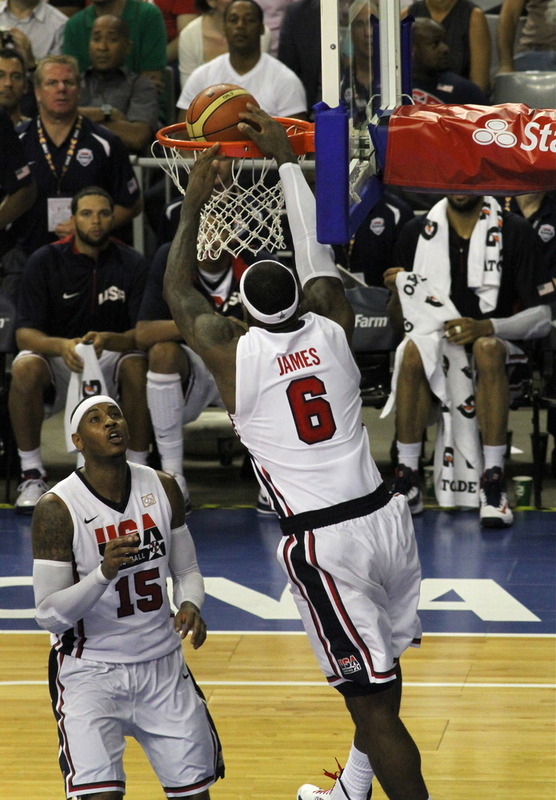 TEAM USA is the best team for sure. Nobody can beat them in a 7-game series. But the Olympics, after an initial round-robin, are a one-game knockout, like the NCAA finals — one and done. Even if this team is one of the best ever assembled, they can be beat.